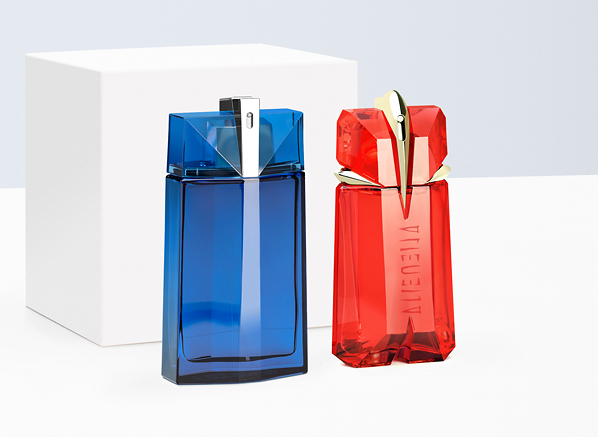 Thierry Mugler has always shown great expertise when it comes to reinterpreting their classic fragrances. Time after time, they twist, distort and refocus their perfumes, taking the iconic signatures that we know so well and making them new again. Not every single one works, and some are better than the originals, but all breathe new life into fragrances that have fascinated many a nose over the years, allowing these intrigued-noses to be beguiled and enraptured over and over again. Alien Fusion and Alien Man Fusion are the latest flankers in the beloved Alien franchise. They are the brand’s most audacious and dazzling takes on Alien and Alien Man, with both featuring a unique combination of spices (ginger and cinnamon) to electrify and ignite these otherworldly olfactory odysseys. While they share this single spice blend, the Alien Fusions diverge in different directions – Alien Fusion explodes from the surface of a distant star, while Alien Man Fusion is the blue tail of a comet as it dives into the atmosphere of a gas giant. Ginger, Cinnamon, Tuberose, Orange Blossom, Vanilla, White Amber. 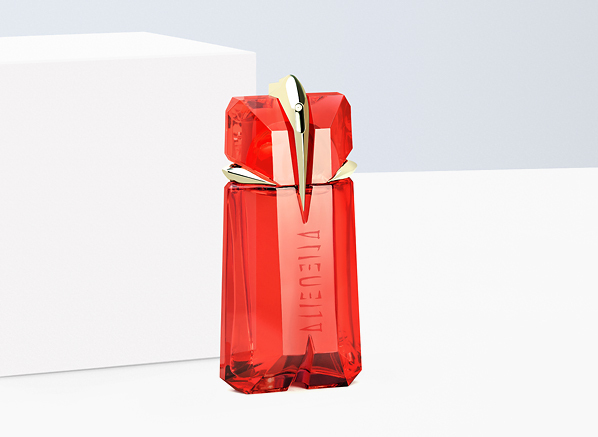 Alien Fusion Eau de Parfum, in its igneous red bottle, is evocative of a hot and fiery sun. Mugler calls it their most flamboyant taken on Alien yet, which is saying something because the original Alien Eau de Parfum was rather bombastic and glamorous to being with. With Alien Fusion, Mugler has injected the woody-floral signature of the original, which itself was golden and blinding, with a solar flare of crackling spices that gives Alien an elemental vitality. At the core of Alien Fusion is a floral supernova of tuberose and orange blossom – a galactic bouquet that burns white hot, creamy and shimmering, creating a warming shock wave that feels like a more transparent and diffusive interpretation of the classic Alien’s signature, syrupy jasmine accord. As it dries down, Alien Fusion blends the white amber and cashmeran base of Alien with a pulsing, heady mass of vanilla, giving this Fusion edition a tropical, exotic personality. If you’re a fan of Alien and weren’t simply sold by Alien Fusion’s radioactive red flacon (which I most definitely was) the incandescent and atomic floral tones of the fragrance most certainly will. Ginger, Cinnamon, Osmanthus, Leather, Green Coffee and Smoked Beach. Alien Man Fusion, the masculine of the duo, is a contrast to the feminine because where Alien Fusion plays hot with the attractive radiance of a supermassive black hole, Alien Man is cool and laid back, fizzing with kinetic energy at the far reaches of our galaxy. Now Alien Man, the original, counterbalances the inky note of black leather with herbal dill and fruity osmanthus. Alien Man Fusion replicates this but brings some interesting twists into the mix – cold turns of greenery and bitterness. The first thing one notices about Alien Man Fusion is not the spice blend of ginger and cinnamon, but the bracing greenery of green coffee. This brings a fleshy, nutty vibrancy to the iciness of Alien Man’s leather accord, giving it more weight but also a deeper sense of contrast. Alien Man Fusion is a rocky cosmic body that pushes forth icy radio waves of smoky leather in magnetic shades of green. Alien Man Fusion has given a sense of oddness that wasn’t found within the original. When strangeness is the key theme of the Mugler brand, it’s pleasing to see their latest masculine boasting something unsettling and fascinating in the mix. 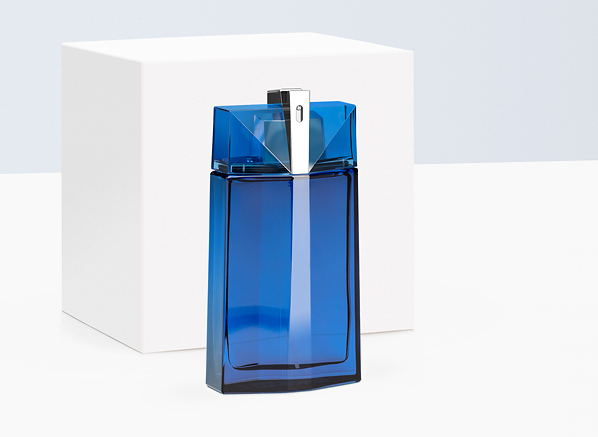 This entry was posted on Wednesday, April 3rd, 2019 at 10:47 am and is filed under Fragrance, Lifestyle, Men, New products, Special Post, Spotlight On, Trends, Tried & Tested. You can follow any responses to this entry through the RSS 2.0 feed. You can skip to the end and leave a response. Pinging is currently not allowed.